Sandwich Masala is a special spice mix which is sprinkled over Mumbai style sandwiches and gives them a very unique taste. 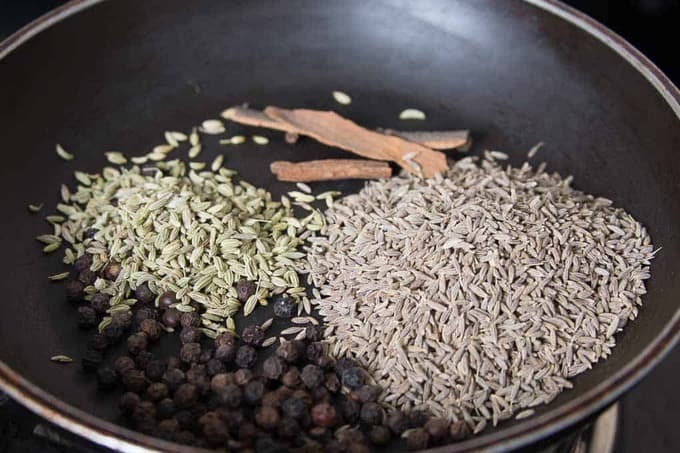 Here is a step by step photo tutorial to make this masala at home. Make it and take your sandwiches to next level. Sandwich is the most common breakfast in our house. I play with an array of stuffing and it ranges from the basic potato or panner to exotic avocado and Tuna. But when I am short of ideas and ingredients, Bombay Sandwich is always there as the saving grace. This Bombay street food is a house favourite and when made using this Sandwich masala, it transports you to a popular Mumbai street. I usually make a small jar of this masala and keep sprinkling it over my grilled vegetables too. 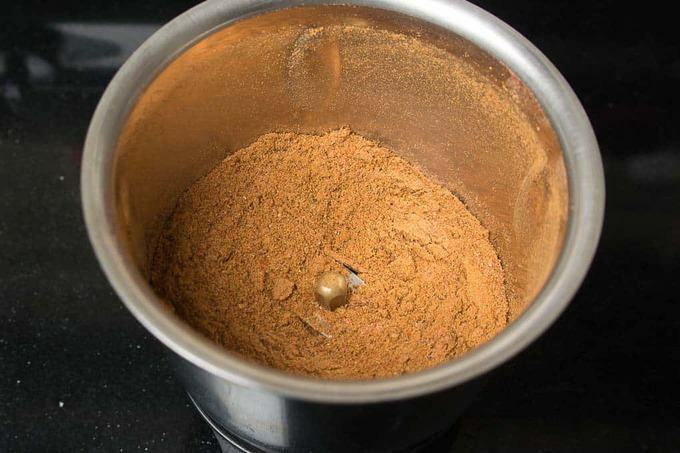 To make this sandwich masala powder, dry roast spices until they are slightly browned and a nice aroma starts to come. 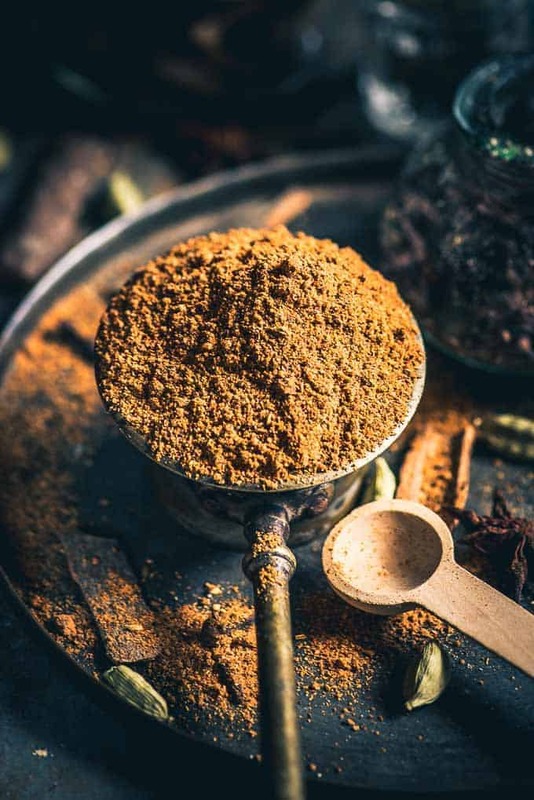 These spices are then ground with salt, amchur and red chilli powder to make a fine powder. You can also use black salt instead of regular salt. 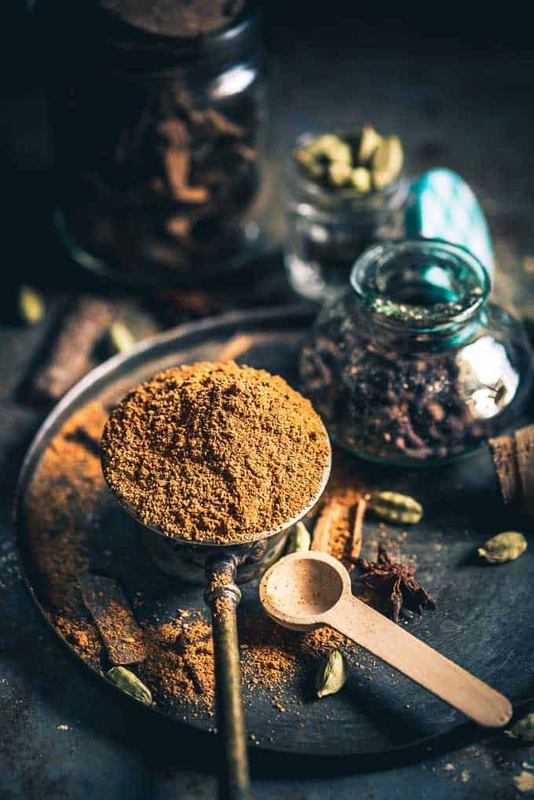 You can store this masala in an airtight container at room temperature for upto a month and while making vegetable sandwich, just sprinkle 1/4 tsp masala over the filling before grilling the sandwich. So next time when you make Mumbai style grilled sandwich, use this masala and then see the magic it creates. 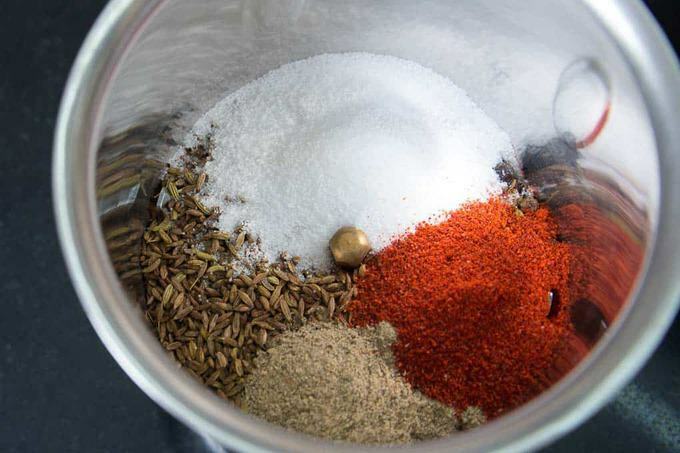 Here is a step by step photo recipe to make this sandwich masala recipe. 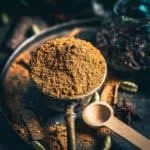 How to use Sandwich Masala? Sprinkle some Sandwich masala over the filling of your sandwich or use it as a seasoning for your grilled veggies. Dry roast spices until slightly fragrant. Remove the pan from heat and let them cool. Transfer them in a blender along with remaining ingredients and grind to make a smooth powder. Sandwich Masala is a special spice mix which is sprinkled over Mumbai style sandwiches and gives them a very unique taste. 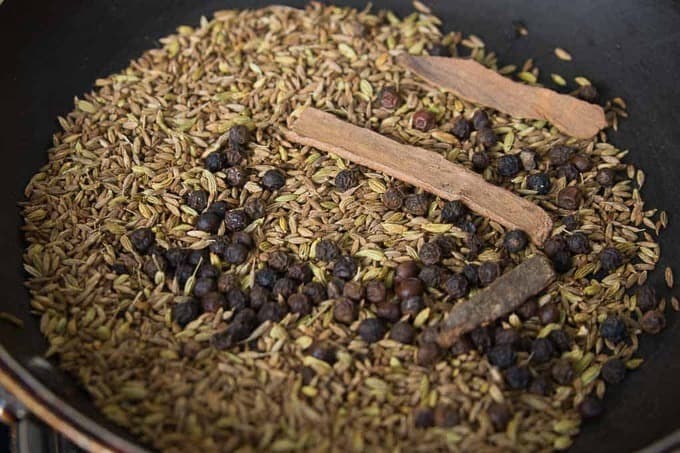 Dry roast cumin seeds, black pepper, fennel seeds and cinnamon until slightly fragrant. Transfer them in a blender along with salt, dry mango powder and red chilli powder and grind to make a smooth powder.